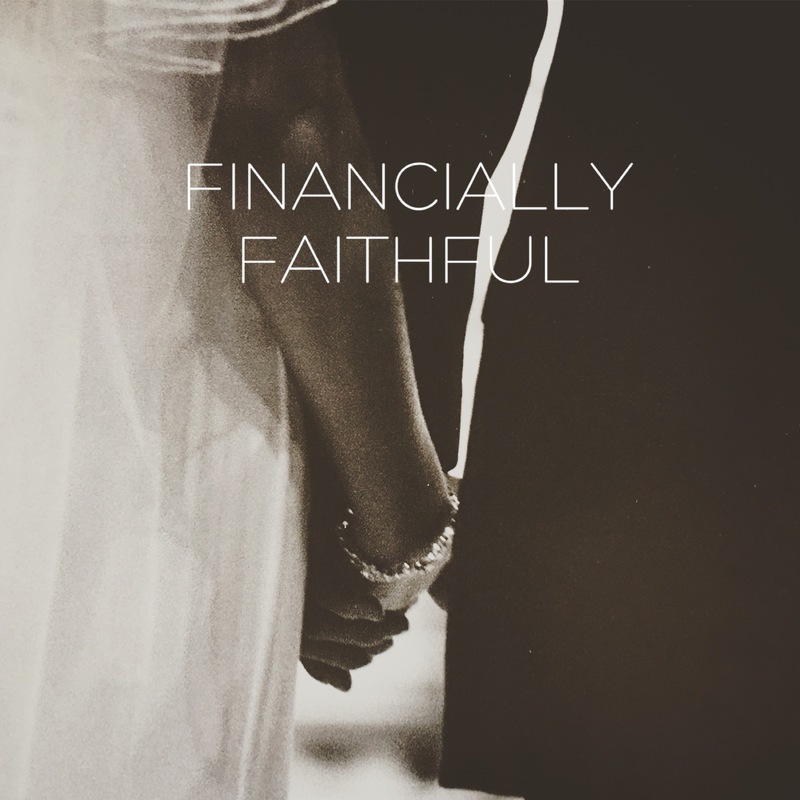 Financially Faithful | Why You Absolutely Must Agree On A Budget. My wife and I have been married 11 years and have always agreed 100% on every dollar we have spent. And I’ve never told a lie. Unfortunately, both of those statements are ludicrous. Through my 15 years as a professional advisor and the decade or so of financial counseling I’ve provided through church organizations, I have come across just a small handful of couples that actually agree on the dollar-for-dollar budget. If it was easy, everyone would do it. The fact that “financial troubles” are listed as the top reason for divorce every single year, it clearly isn’t easy. I believe that learning to communicate with your spouse about money is the most important factor when it comes to budgeting. Too often one spouse points the finger at another and claims that it is that person’s fault for their financial worries. The attacked, and now hurt, spouse responds saying things would be fine if the other spouse would not spend so much money. And the blame-game ensues and a whole bunch of garbage is flung around the kitchen table. This is not a recipe for a happy marriage or a financially fit one. It doesn’t have to be hard (I’m not saying it is easy – big difference) to have regular, ongoing communication about money in the household. Communication is the catalyst of sharing this slice of marriage. When both spouses are in “the know” AND in agreement, it makes for a POWER-packed, unified team that is armed and ready to make anything happen with their finances. I am going to use fictitious couple, Rich and Sally Moneyton, to illustrate some practical, and powerful, tips on budgeting in marriage. Rich and Sally are happily married with five lovely children. Rich has a solid career with a steadily increasing income totaling $100,000 each year. Sally takes primary responsibility for managing the household and the children, but also earns $26,000 each year in her home-based business boutique. Over their 14 years of marriage, the Moneytons have done a good job avoiding the dangerous financial diseases known as “Keeping up with the Joneses” and the cleverly veiled “It’s only a $450/month car payment” but have never fully felt like they are on the same page with the day-to-day, month-to-month handling of the family cash-flow. Part of that is because Mr. Moneyton has often been an absentee general in the family’s battalion of “little green soldiers” (dollars bills), and by default has pushed all of the stress and details of commanding those troops unto Mrs. Moneyton. While Mrs. Moneyton has valiantly led the troops, she isn’t always sure she is giving the right orders. When that happens, no orders are given and the little green soldiers accomplish nothing and just dwindle away over time. Inevitably, the Moneytons have a total breakdown in communication over either the current deployment of the soldiers or the lack of orders given. At this point, Mr. Moneyton accuses Mrs. Moneyton of sending the troops on useless, good-for-nothing missions to the grocery store and Target. While Mrs. Moneyton counters that she does not want to leave any soldiers left behind, and she sends them out with the best orders she has available. Not only does this harm the marital harmony in the house, but the five little captains who are learning from Mom and Dad Moneyton are learning how to command their troops when they find their general to marry in the future. They are learning that you are supposed to argue about what to do with the family’s money and then blame each other for the unhappiness or uncertainty that leads to. I recommend two major styles of budgeting: Every Dollar Budgeting (EDB) and Forced Ratio Budgeting (FRB). Consider EDB more of a micro-management style: very detailed and to the penny. FRB is more of macro-management style: accomplish the big goals first and make sure everything else isn’t off track. Dave Ramsey and the team at Ramsey Solutions offers the best available resources in the area of Every Dollar budgeting that I have come across (in fact, it has even designed an every dollar budgeting tool available free online or via the app). 75% Spend – this method is much quicker and easier to review, but it leaves the potential that your spending will be too high. It is vital to set boundaries on the bank balances each month and if those balances get too big or too small, you have to use the EDB methodology for a period of time until you get it figured out. A lot of times in a marriage, one person will prefer the EDB over the FRB and vice-versa. I recommend you use the method that suits the person who handles the day-to-day of the family budget. With our friends The Moneytons, Mrs. Moneyton is tasked with this job and she prefers the FRB. If Mr. Moneyton thinks that is dangerous and they need to use the EDB, then he needs to put his big-boy general pants on and assume responsibility for the monthly family budget accordingly. Otherwise, agree on the FRB and move forward. For this to work, the Moneytons STILL need to sit down each month and agree on what the major priorities are and deploy the little green soldiers accordingly. Note: the main priorities of a family’s monthly budget can, and will, change from time to time. Perhaps the Moneytons decide to support and specific charitable cause for a three-month time period. They need to adjust their top priorities and deploy accordingly. Maybe it is time for a new home purchase and they need to aggressively save for a large down payment; adjust the plan and deploy the green soldiers accordingly. To promote good communication in marriage around the budget, neither spouse needs to have a finance degree and the family does not need to make a ton of income. The main ingredient needed is the willingness to communicate on a regular basis, with complete mutual respect absent of the shame and blame game. (And a sense of humor goes a long way too…don’t take yourselves too seriously. I mean, I’m talking about “little green soldiers” here). There is no one right way to budget. There is, however, a wrong way: no budget communication at all. Take the time to make a plan, agree on the troops’ strategy and move forward with a happier, more peaceful financial marriage.